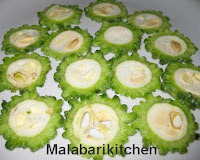 =►Cut bitter gourd to thin round rings (with seeds). 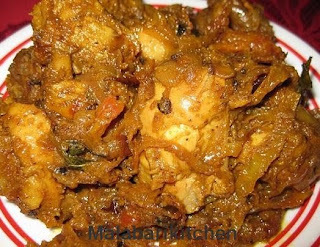 =►Grind together all marinating ingredients well. 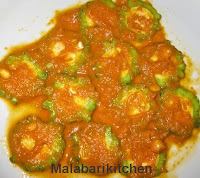 =►Apply this paste on each bitter gourd rings and marinte for 30min. 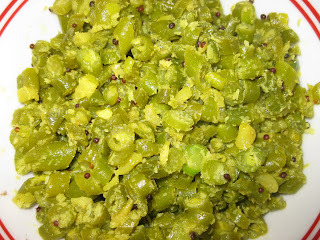 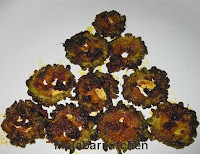 =►Heat 4tsp of oil in nonstick pan and put bitter gourd rings into it. 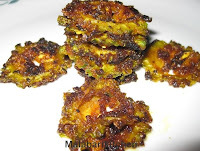 =►Fry (deep fry) it well and serve hot with plain rice.